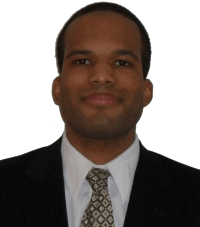 Several months ago, I left the law firm where I was working as an associate attorney and formed my own law firm, Puryear Law P.C. Since doing so, I’ve been quite busy with both legal work and the administrative matters that come along with running a business. Business has been excellent, and the firm has grown rather rapidly. I’ve had to add both employees and office space to keep pace the firm’s growth, which has not yet leveled off. However, that busyness has prevented me from writing for LearnAboutGuns.com since the beginning of February 2011. With my employees getting up to speed, and many of the business administrative matters sorted out, I now have more free time to devote to this website. It is now my goal to resume posting articles at least 5 days a week. The first new article will be published in approximately 12 hours. I would like to thank everyone for their patience over the last couple of months, and reassure everything that I remain as committed to gun rights as ever. Glad to hear you've been sorting everything out with the new venture and that business has been excellent. Looking forward to reading your latest material. Having tripped into this website a little while back, I enjoyed many of the topics and discussions. There seems to be a few others who come here to post ideas and comments. I started to think this was a dead site because there was no feedback from the administrator. I hope to see more activity and broader discussion of gun rights, safety, security, and accountability. We knew you were busy setting up your firm and congratulate you on your success. Glad to have you back posting at your site and look forward to occasional updates on what you are doing besides the regular gun rights postings. Glad you are back. Missed your articles. You've been a busy fellow this past year what with starting your family life and beginning the new business. Congrats on both. Have my own business for the past 23 years with a great partner, lots of work but wouldn't trade it. If you ever feel the need to ask any question about this, feel free to pick whats left of my brain. Happy to have you back. Good luck Eric, I've enjoyed many items in the past and hope to in the future. Glad you're back brother. I really enjoy your articles. I've told all of my friends about you. I'm glad you were able to get your law firm up and running and that it is going well. Welcome back. Greetings from Toronto, Ontario, Canada – so glad you're back Eric! I'm looking forward to your new posts, congratulations on your firms success! The updates didn't last long. I'm concerned by that, but I hope it's due to your firm's success, not some personal misfortune. I read an article that stated a revolver is safer than a pistol, due to the fact that a pistol being picked up in the dark will be hard to distinguish the barrel from the handle. Is there some truth to this? Thanks for any and all comments. When a bullet is in the breech of a pistol, the firing pin is cocked and ready to fire, thus making it less safe.